Chris Muirhead concentrates his practice in the area of public finance. For more than twenty years, numerous New Mexico municipalities and counties have relied on Chris for advice on their public financing matters such as general obligation bonds, gross receipts tax revenue bonds, utility system revenue bonds, special district financings, and economic development projects. He serves as general counsel and issuer’s counsel for the New Mexico Hospital Equipment Loan Council, a state-wide issuer of conduit debt for New Mexico healthcare facilities. Best Lawyers in America® named Chris 2016 “Lawyer of the Year” in Albuquerque in two areas of practice: Municipal Law and Public Finance Law. 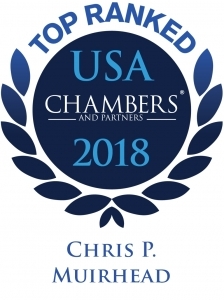 Chambers USA has recognized Chris in the area of Corporate/Commercial, and reported in 2017, he is a trusted and respected figure among clients, who note “he really immerses himself in our business, understanding what we do and why and contextualizing the excellent work that he does. This speaks volumes.” Additionally, Chris has achieved the AV® peer review rating from Martindale-Hubbell, the highest rating possible. Prior to joining the firm, Chris served as a law clerk to The Honorable James A. Parker, U.S. District Judge for the District of New Mexico. 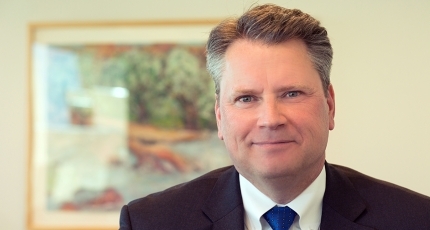 Chris is a Modrall Sperling shareholder, current Chair of the Public Finance Group, and has served as Head of the firm’s Transactions Department.